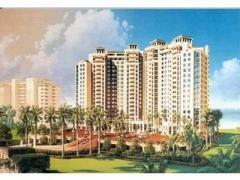 Allegro is an established high-rise just steps from Venetian Village. Amenities include a fitness center, gulf-side pool, 24/7 security, garage parking, social room and resident deck. Allegro is pet-friendly too allowing either a dog or cat in each home. Have any comments or questions about Allegro Condos? Ask your question and/or share your thoughts about this Building. My mother-in-law rented for several years and we went down to be with her often. We liked the Allegro. It was comfortable and convienient. It was a well run condo and offered what we were looking for.